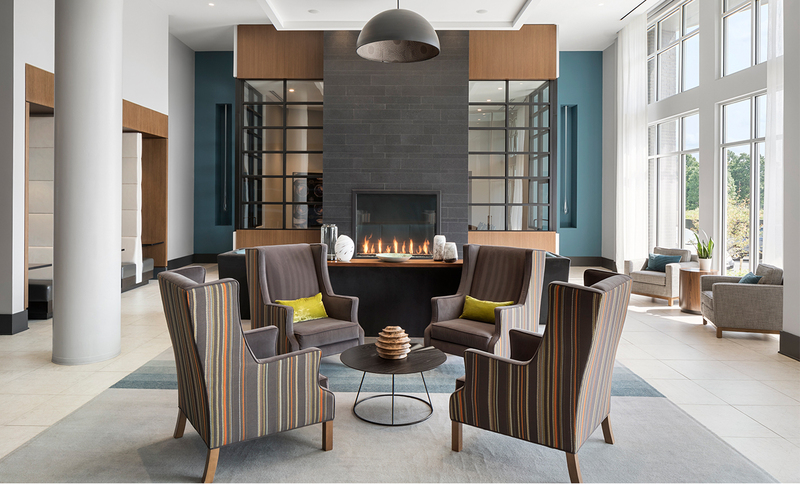 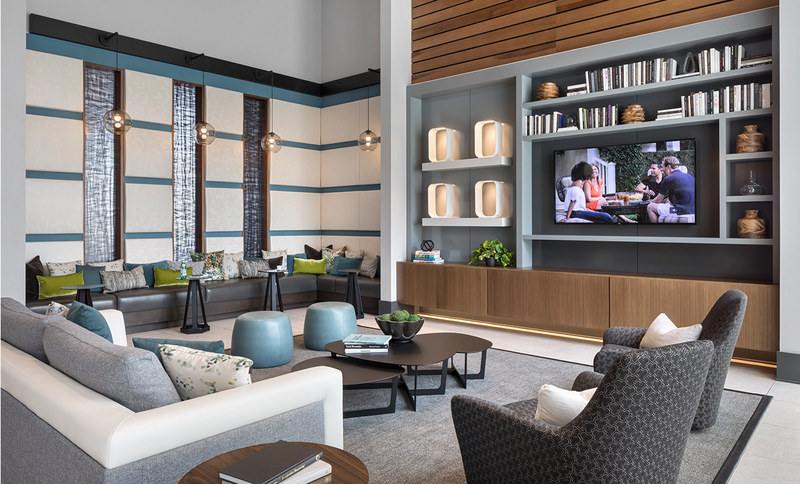 Located steps from the terminus of Washington, DC Metro’s red line, the Daley was conceived to be “an oasis at the end of the line,” designed to capitalize on the idea that the stress of city life will transition to relaxation as the residents return home at the end of the day. 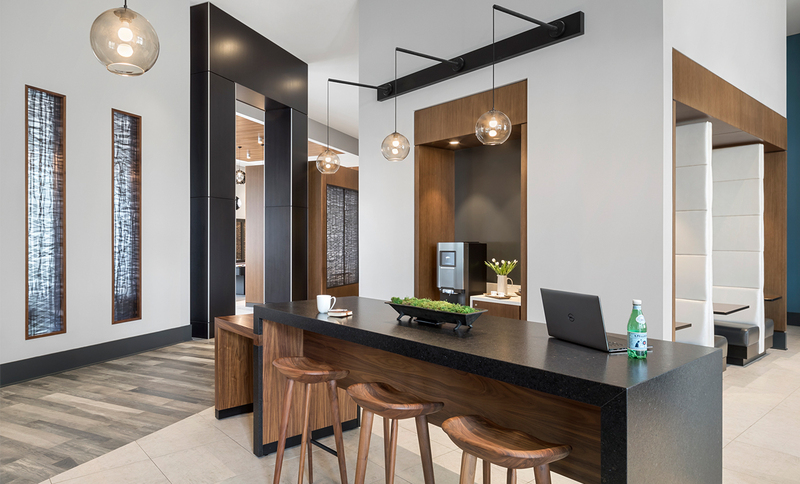 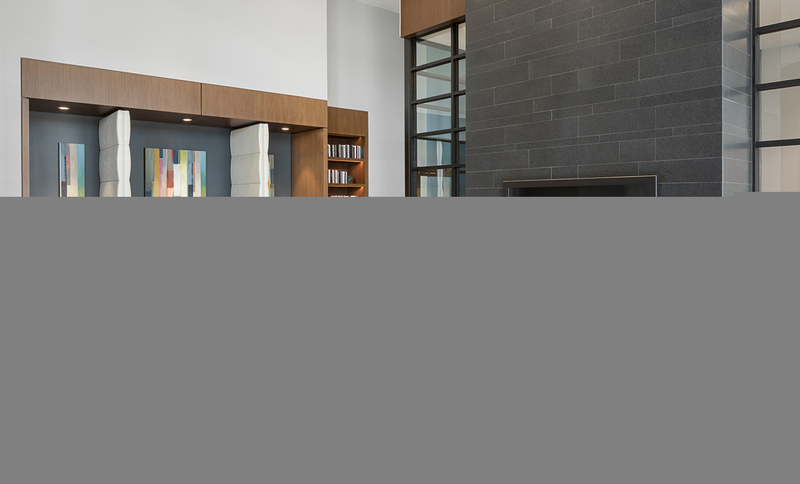 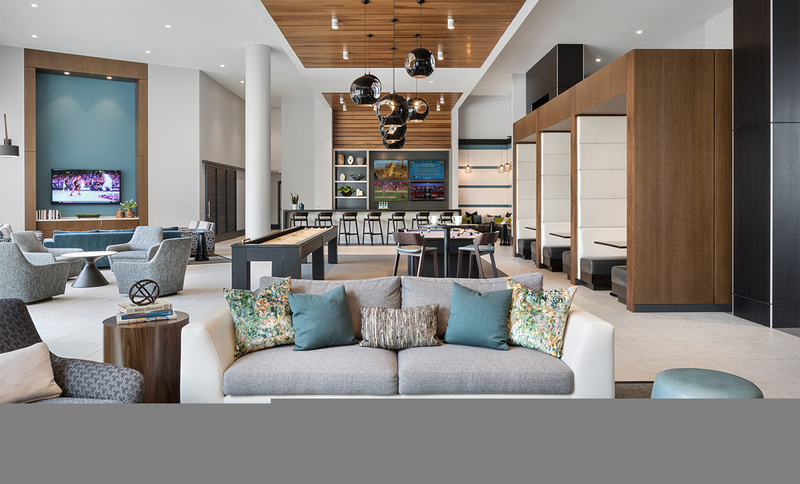 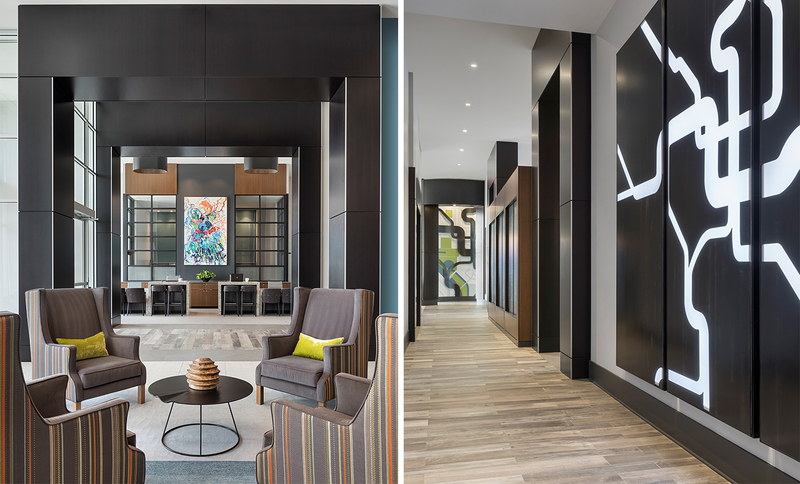 As the first multi-residential building to open in this transit oriented development, the Daley is setting the tone for community focused living with contemporary yet comfortable, upscale, dramatic spaces. 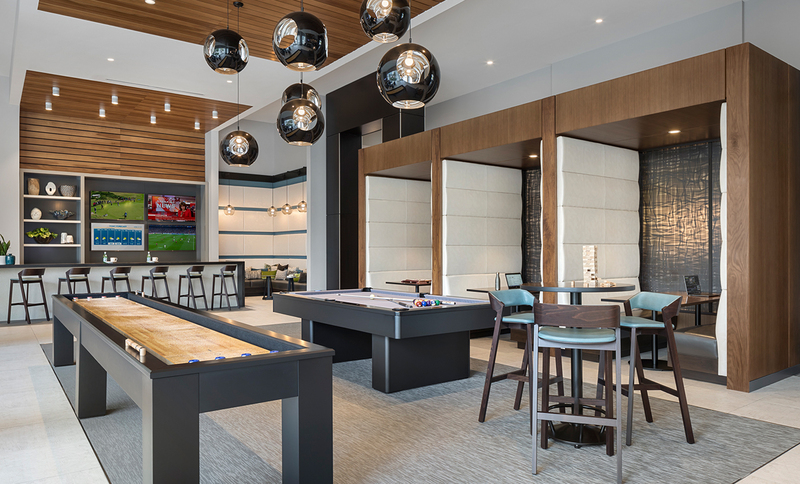 The Daley’s 10,000sf of amenities include a double height living room; two think tanks; a spacious club/game room with integrated private dining; and a well-appointed fitness center with yoga studio, all inward-focused on two expansive courtyards, encouraging interaction in both indoor and outdoor social spaces.